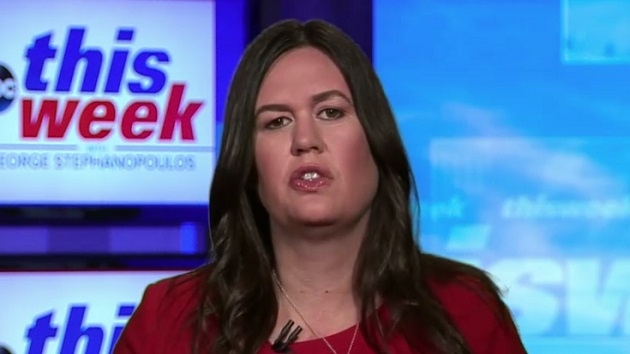 In attacking the fight to obtain Trump's tax returns, White House press secretary Sarah Sanders argued that members of Congress aren't smart enough to understand them anyway. The Congressional Research Service said there are 10 accountants in this Congress, including two senators and eight House members. As certified public accountants, they had to pass an exam and meet their states’ work and education requirements. Rep. Brad Sherman of California is a tax law specialist and a CPA, and he was an instructor at Harvard Law School’s International Tax Program, according to his biography. He sits on the House Committee on Financial Services. Rep. Collin Peterson of Minnesota, who was first elected in 1991, was a CPA and small business owner in Detroit Lakes before joining Congress. And Rep. Tom Suozzi of New York is trained as an attorney and a CPA and previously worked as an auditor for Arthur Andersen & Co. He is a member of the House Ways and Means Committee — the committee that writes many of the country’s tax laws, and the committee requesting Trump’s tax returns. The seven other congressional accountants are Republicans, including Sens. Mike Enzi of Wyoming and Ron Johnson of Wisconsin. Republicans in the House who were trained and have worked as accountants are Reps. Michael Conaway of Texas, Brian Fitzpatrick of Pennsylvania, Bill Flores of Texas, Steven Palazzo of Mississippi and Tom Rice of South Carolina, who sits on the Ways and Means Committee. Sanders’ comments came Sunday as she argued against Democrats’ recent push to obtain President Trump’s tax returns. The accountants’ expertise may be relevant in the coming fight over Trump’s tax returns, which is setting up to become a major legal battle. Earlier this month, House Ways and Means Committee Chairman Richard Neal formally requested Trump’s tax returns from the Internal Revenue Service, citing a little-known tax statute. But the Trump administration has resisted that request, and the Treasury Department said it would consult the Justice Department before responding further. The President has refused to release his tax returns and says he is not doing so because he is under audit.